We partner closely with you to develop custom shipping solutions that deliver big results to international or U.S. markets. We’re accessible, reliable, collaborative—and offer the competitive advantage you need. Watch our video to learn more about our marine capabilities. We’ve been a premier auto gateway since 1953, when we started importing Volkswagens. Since then, more than 11 million vehicles have moved through the Port, including cars manufactured by Ford, Honda, Hyundai and Toyota. 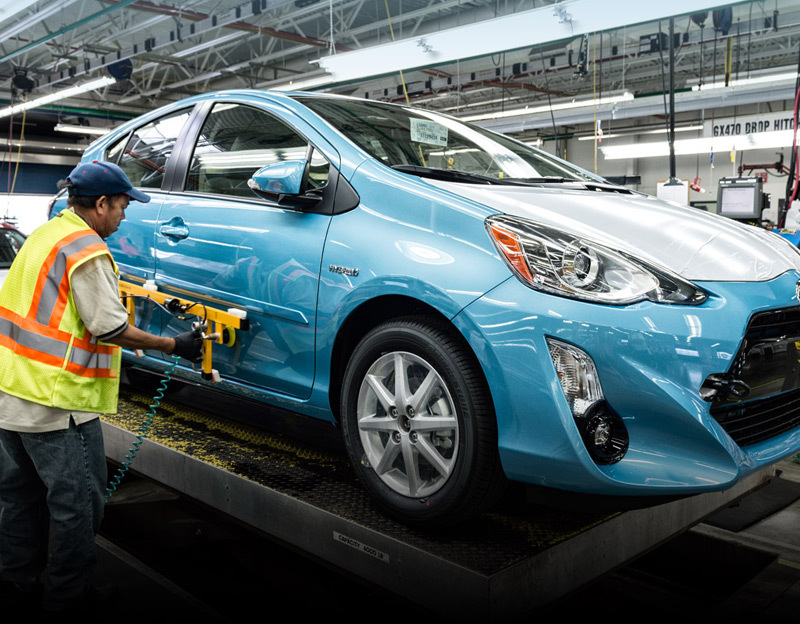 Since 1971, Toyota has maintained an auto import and processing facility at our Terminal 4. This four-decade partnership has led to several facility expansions and improvements. Today, Toyota's Terminal 4 location handles more than 10,000 vehicles per month and was designated the first industrial facility to earn LEED Gold and Salmon Safe certifications. In China, driving an American-made Lincoln is a sign you've made it. With China's growing middle class, demand for the shiny MKCs, Continentals and Navigators are also on the rise. That's translating into our strong partnership with Auto Warehousing Company, a global logistics and processing company that ships the vehicles from Terminal 6. We're a premiere auto gateway, ranking No. 1 on the U.S. West Coast for exports. Thousands of vehicles roll in and out of our terminals to foreign markets and from domestic manufacturers. Watch this video to learn more about how we've become a leading auto distribution hub. Everything from agricultural products to household goods can be shipped by container. Cargo from the Pacific Northwest is often bound for Asia, while incoming goods are moved by truck and rail to customers across the region. Terminal 6 is a 420-acre, multi-use terminal with the ability to handle containers, project cargo and breakbulk. It also features direct rail service. Our breakbulk and specialty cargo terminals are flexible, multi-product facilities well-served by a network of interstate freeways and direct rail service. Terminal 6 is a 420-acre, multi-use terminal with the ability to handle containers, project cargo, breakbulk and features direct rail service. We are capable of handling drybulk and specialty cargo. 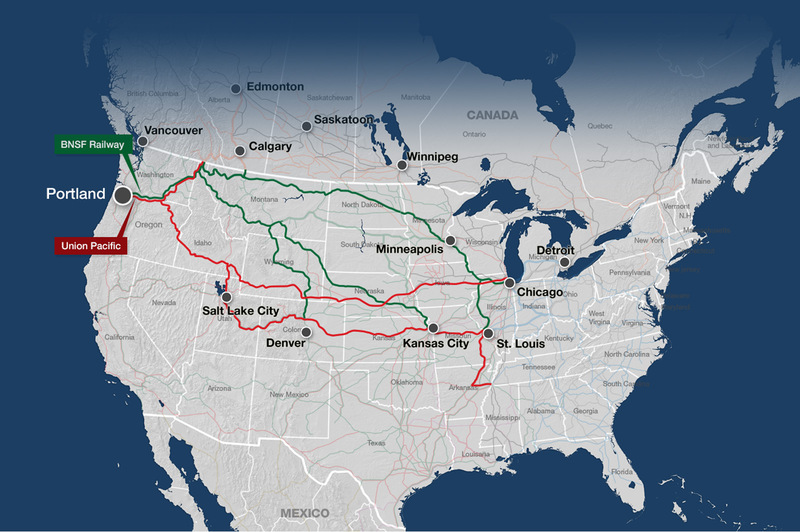 Two Class I railroad connections help minimize congestion and our terminals are conveniently located with access to interstate highways. Terminal 4 is a 262-acre facility that handles drybulk, liquid bulk and Toyota vehicle distribution. It features seven berths, including ro-ro capabilities. Oregon wheat, typically soft white wheat grown in the vast expanses of Eastern Oregon and in lush Willamette River valleys, travels from farm to river to the Port of Portland. 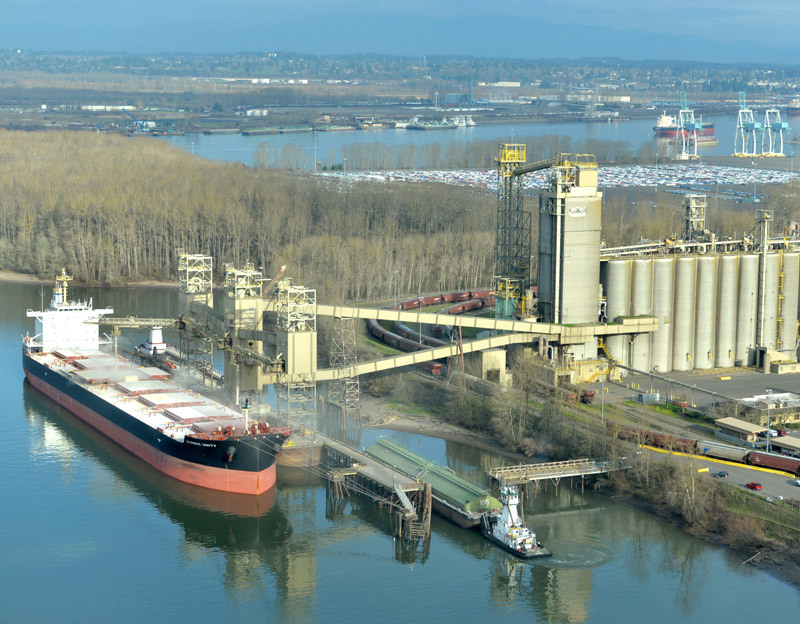 In 2017, more than 4 million tons of grain was shipped through Portland to feed other parts of the world. 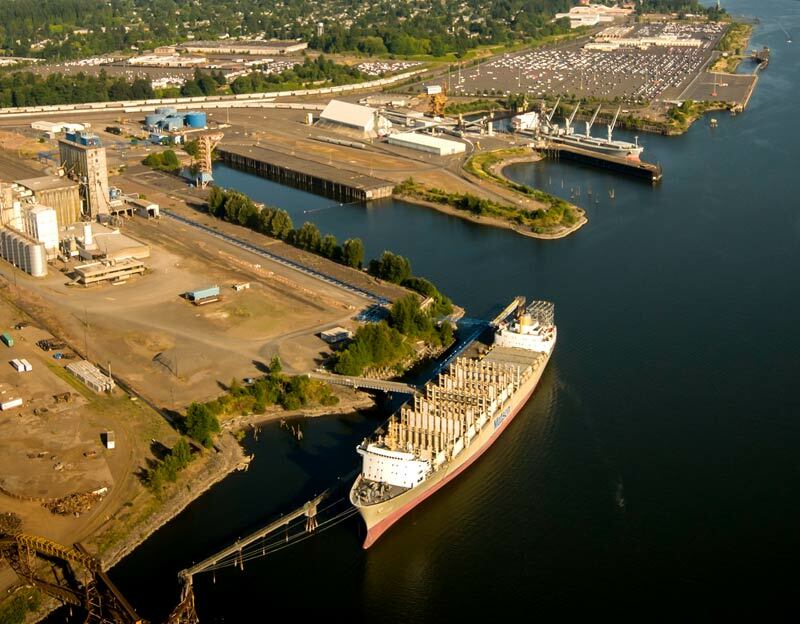 Portland's marine facilities feature on-dock rail connections and are well-served by efficient and modern main line and short line rail connections. Together with the state of Oregon, city of Portland, tenants and railroads, we have invested heavily in many rail yards, overpasses, new trackage and related projects that have improved capacity, velocity and safety throughout Rivergate Industrial District and the surrounding region. 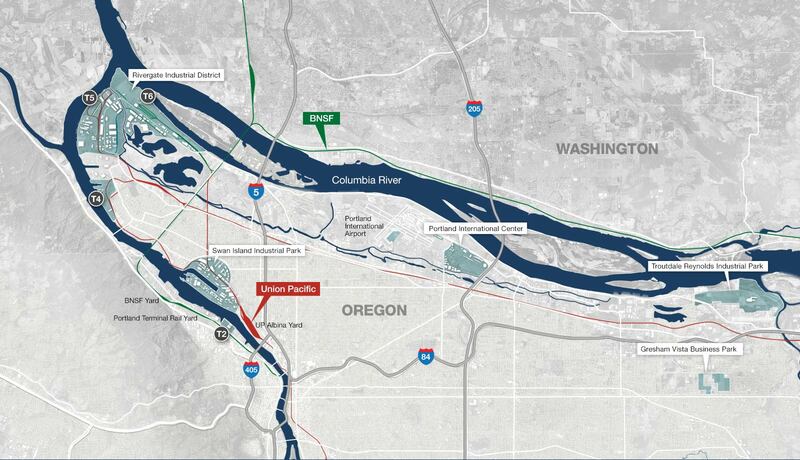 Portland offers geographical advantages over Pacific Northwest ports because of its access and proximity to major markets as well as the only river-grade interstate highway and rail routes to the interior. From agriculture to autos and bulk minerals to big machinery, if you’re seeking access to both international and U.S. markets, we're the partner for you. Multipurpose, 262-acre facility that features seven ship berths capable of handling a variety of cargoes including forest products, steel and dry bulks. Terminal 5 and its 159 acres host a rapid-handling grain elevator operated by Columbia Grain and a potash export facility operated by Canpotex. Terminal 6 is a multipurpose, 419-acre facility that features five ship berths and an on-dock rail yard. Autos, containers and breakbulk cargoes are handled at T-6. 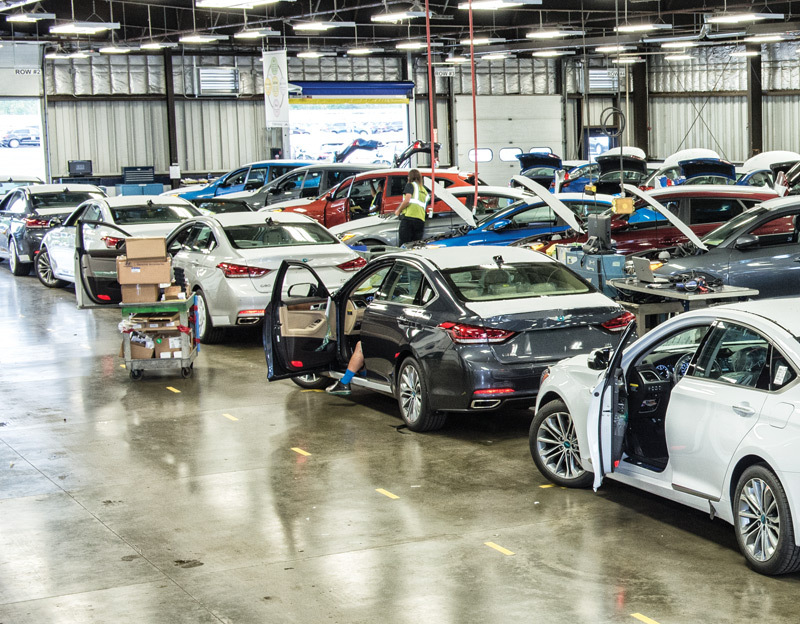 Since 1971, Toyota has maintained an auto import and processing facility at the Port of Portland's Terminal 4 to handle Toyotas, Scions and Lexus vehicles. This 45-year partnership has led to several facility expansions and improvements. Today, Toyota's Terminal 4 location handles more than 10,000 vehicles per month and has been designated the first industrial facility to earn LEED Gold and Salmon Safe certifications. With China’s growing middle class, demand for Lincoln MKCs, Continentals, and Navigators are on the rise. 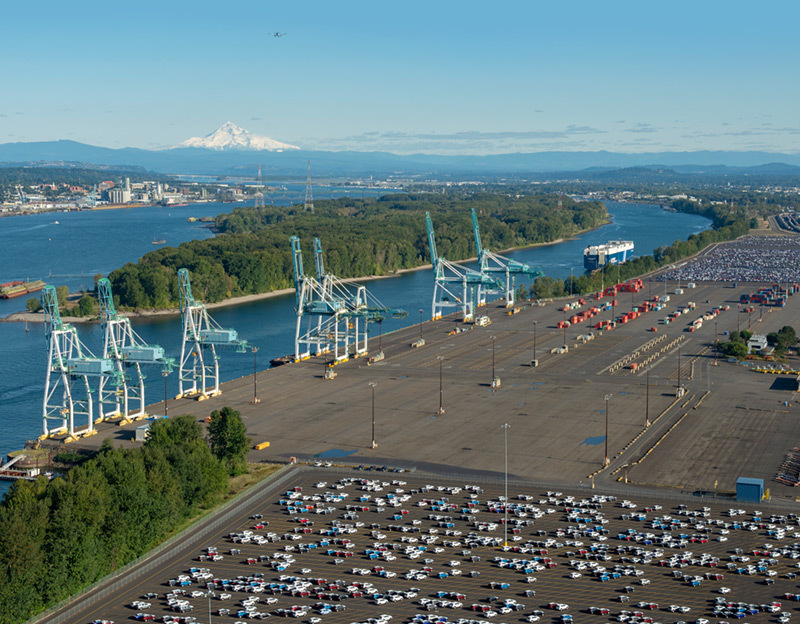 That’s translating into a strong partnership between the Port of Portland and the Auto Warehousing Company, a global logistics and processing company that ships the vehicles from Terminal 6. In 2016, AWC helped move 50,000 Fords and Lincolns through Portland on to the Far East.